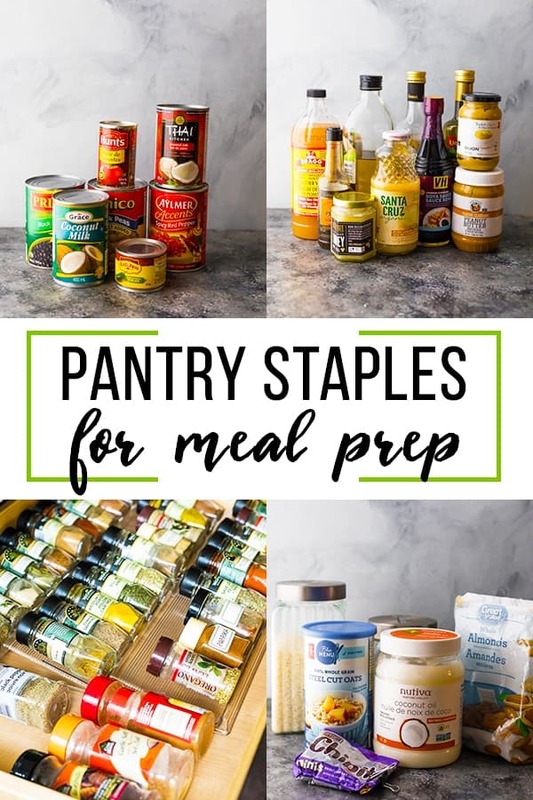 This list of pantry staples for meal prep will ensure you never run out of an important ingredient in the middle of a recipe. I’ve been asked a few times for a list of pantry staples that I have on hand, and so today I’m doing just that! 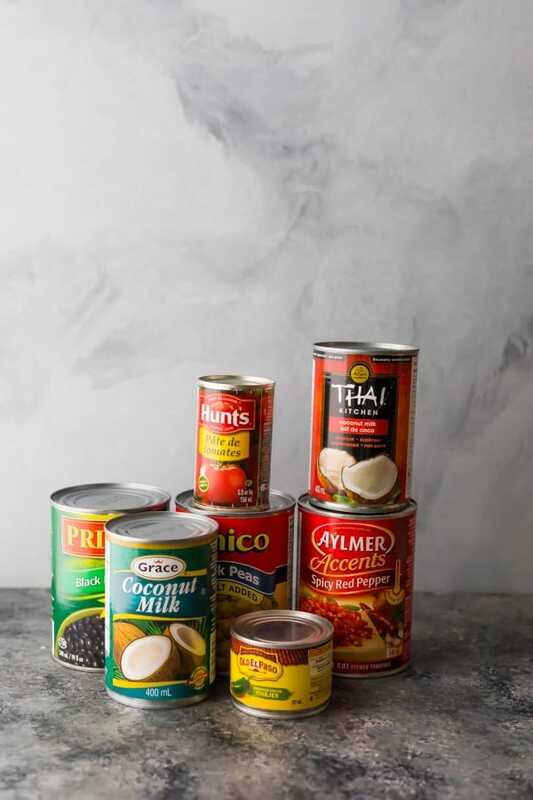 Let’s talk pantry staples! makes you more efficient in the kitchen- no one wants to have to run to the store mid-recipe to grab an item! 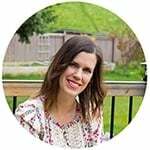 can save you money; stocking up on these items while they are on sale is smart, especially when you use them as often as I do! I’m sharing a very basic list of ingredients that I keep in my kitchen. These are the basic ingredients that I use all the time. They are basic, versatile, and (for the most part) cheap…and if I were starting my kitchen over from scratch, I’d run out and buy every item on this list. you might also like these Pantry Organization Ideas! I have a lot more spices than this in my spice drawer, but these are the ones I find myself constantly restocking. 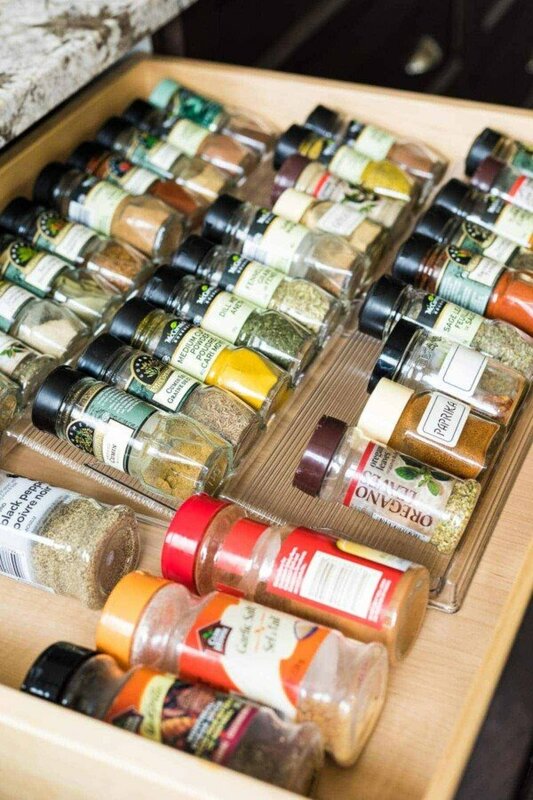 Since spices are pricey, it’s best to start with the basics and add others in as you need them! While you can go crazy and buy a TON of sauces, I keep it pretty simple. 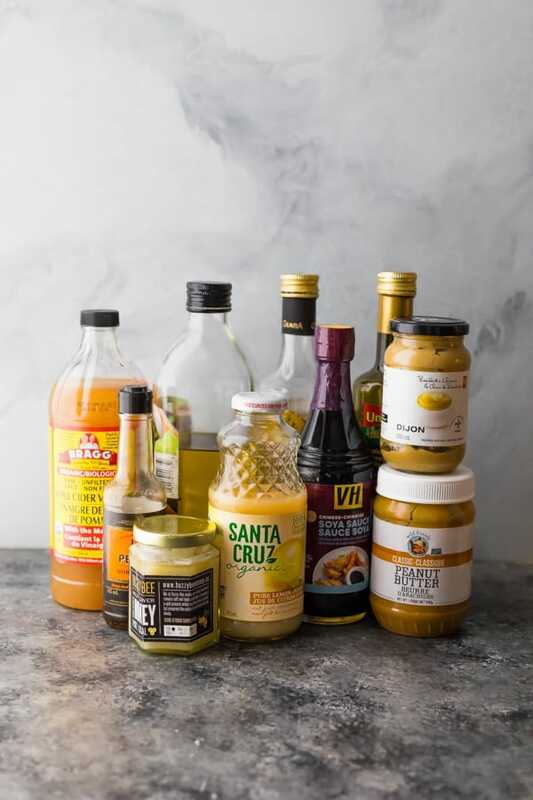 I use these oils, vinegars and sauces for salad dressings, cooking food, making sauces, making energy bites & granola bars, and even for drinks! I’ve left out most baking basics because I don’t actually bake all that often. 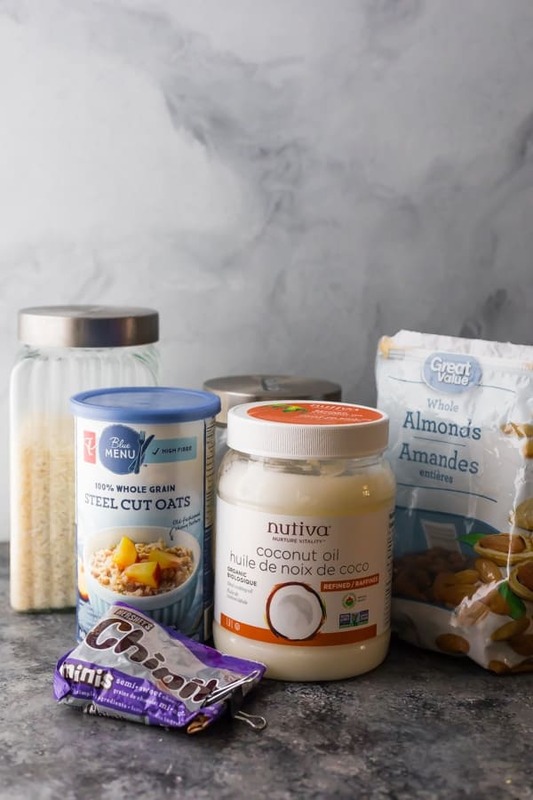 These are the ingredients that build the base of a lot of my meal prep recipes, including grain bowls, oatmeal and granola bars/energy bites. While I have a lot of cans in my cupboard, it’s actually pretty repetitive! These are the canned goods that I reach for time and time again. They are perfect for adding to soups, freezer meals, casseroles and more. I always have several cartons of these and stock up when they’re on sale. Great list, thank you so much for putting it together, it’s so helpful. I noticed that you have a spelling error for Worcester Sauce. I’m from very near Worcester in the UK and it’s pronounced Wuster, not sure if you knew, it’s one of those weird English spellings and not many people know the pronunciation of it 🙂 Thanks again for a great blog. Hi, sorry I’m confused. Where is the spelling mistake? It says worcestershire on the bottle? I do struggle to pronounce it LOL! Aha! OK I was confused because I corrected it in post but obviously missed the shopping list. Thanks for the heads up!